Inspire all participants to go beyond their limits and give their very best, to learn how to understand and care for nature (wildlife and its habitats) along with attitude towards personal challenges, work as a team and improve their physical and manual abilities. Children are supported and supervised by a kinesiologist, a child life specialist and various guide-interpreters and instructors. 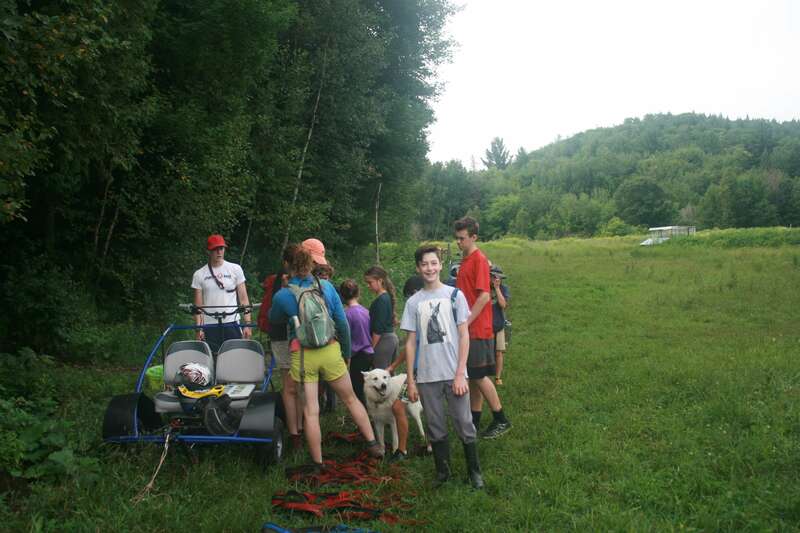 Within a character-building day camp during the summer, young people aged 14 to 16 years old will learn about farm work and discover the importance of physical activity and team work while performing the numerous tasks required for animal care. They will be given various responsibilities while under the supervision of a child life specialist, biologist, kinesiologist and supported by other team members. An assessment of skills to be developed will be made during the week to better prepare them for their future life.